PROBLEMATIC: Are you in the conversation? Trivia Club would LOVE to hear feedback on the Saturday Night Live Fantasy League and how we could even improve on it all! Comment in the blog's comment section, on Trivia Club's facebook page or in our twitter feed. We want to hear from you, as we make our way through Season 40! LISTEN TO THE PODCAST! Subscribe to us on iTUNES! Do the same on YouTube! QUALITY: Weird is the word for this episode of SNL, it’s as if they took last season’s Halloween episode with Edward Norton and took the post-songs sketch and stretched it out to make an entire episode to be hosted by Jim Carrey. And, now, weird isn’t bad. PROBLEMATIC: Though the usage of cast is still oddly uneven, which is the danger of having a cast this size. You either do large crowd sketches and get everyone involved though in the mean time potentially watering down a performance and not allow someone to break out. QUALITY: Or you put Kate McKinnon in a Sia-approved flesh colored body suit and let her do the kind of balls to the wall commitment and funnery that snagged her an Emmy nomination. PROBLEMATIC: Though it was a deeply uneven episode, what hit... definitely hit. QUALITY: Jim Carrey is likely the weakest host so far this year, though that’s more a positive note on the hosting jobs so far this year (no matter what the ratings say, and one of the things they do so is Carrey had an even better night then the season premiere and that shouldn’t stop next week). Wow that was a long bracketed aside. Carrey came to New York especially game to play. QUALITY: And of course, big ups for Jim Carrey repping Toronto even harder then Drake did! From the shout out to Scarborough to the Maple Leafs jersey, I say well played from our Fantasy League situated smack dab in Hogtown! 10 points - "LIVE FROM NEW YORK...!" MUSICAL GUEST - Iggy Azalea - SONGS: No songs chosen. The landscape, it is a changing! This Jim Carrey episode of SNL brought a number of interesting things. We began retroactively accepting voice-over points in sketches (3 points), though only if the cast member or host didn’t already appear in the same sketch. So the voice over that Carrey did as McConaughey didn’t add any additional points to the cache. By the way, our Deep Thoughts folks asked a very good question… when DID that impression become the new Nicholson? Was it Matt Damon on Letterman? The McConaughcense and a million amazing awards speeches? Trivia Club had our FIRST Saturday Night Live themed night of trivia in Toronto! It was an incredibly fun night that tested not only the stars past and present but also brought to mind classic sketches from seasons past! Ultimately it came down to the only question not explicity connected to Saturday Night Live, a Trivia Club trap from the past week’s trivia! And our winners of Saturday Night Trivia Club (on a Wednesday)? THE VONDRUKES! So a final congratulations, to our first-year featured league team for representing IRL, and taking home the Golden VHS! 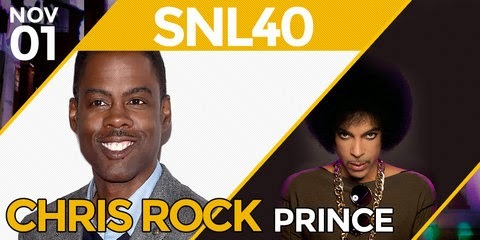 We’ll see you all again next week when Chris Rock hosts Saturday Night Live, with Musical Guest PRINCE! Yes, it has all the ingredients to be an all-time episode of SNL, even if no one chose Rock to host he should have a busy winter ahead with Top Five knocking it out at Festivals and bringing Chris Rock back into the conversation for top five greatest cast members to have had at least a cup of coffee in Studio 8H! Nat X and pancakes?! Yes please! Stay in the conversation! Trivia Club would LOVE to hear feedback on the Saturday Night Live Fantasy League and how we could even improve on it all! Comment in the blog's comment section, on Trivia Club's facebook page or in our twitter feed. We want to hear from you, as we make our way through Season 40! LISTEN TO THE PODCAST! Subscribe to us on iTUNES! Do the same on YouTube! Russel Harder hosts Trivia Club at Cardinal Rule (5 Roncesvalles Ave) every WEDNESDAY, at Hitch (1216 Queen St East) every SECOND and FOURTH MONDAY of the month, Handlebar (159 Augusta Ave) on the FIRST TUESDAY of every month, and Lou Dawg's (76 Gerrard St E) on every other TUESDAY! Hosted and produced by Russel Harder, Trivia Club is a live event that can be found across Toronto, from our long-running black label Leslieville location twice monthly at Hitch (1216 Queen St East) every 2nd and 4th Monday, to the flagship entertainment roundhouse The Rec Room (255 Bremner Blvd) every Tuesday, and the 1st and 3rd Wednesday of every month at your friendly neighbourhood 'side of the valley at Farside (600 Gerrard St East)! We have also licensed Trivia Club to locations outside of Toronto, at The Rec Room in London, Ontario and Mississauga, Ontario! The Trivia Club Network, including the Pause + Play podcast, can also be found on iTunes and Soundcloud. For inquiries about your own trivia event, contact Russel Harder at russelharder@gmail.com ! FOR MORE Features... including Trivia Club's Comedy 100!